Born and raised in Pembroke, Pierre assumed the position of President and CEO of the Pembroke Regional Hospital in the fall of 2006. Before assuming this role, Pierre was the President and CEO of the Wellington Health Care Alliance, a tri-hospital alliance between Groves Memorial Community Hospital and the two sites of the North Wellington Health Care Corporation. 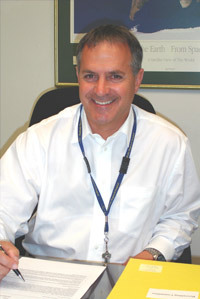 Prior to this, Pierre held a number of senior positions in both the public and private health care sectors including a role as special consultant to the Ontario Ministry of Health and Long-Term Care as part of its Health Reform Implementation Team, Vice-President of Corporate Development at Aetna Health Management, Vice-President of Business Development at Columbia Health Care, Director of the Children’s Program at Laurentian Hospital in Sudbury, and Director of Administrative Services at the Royal Ottawa Health Care Group. Pierre is currently the chair of the board of directors of the Ontario Hospital Association and the past-chair of the Catholic Health Association of Ontario. He has a Bachelor of Commerce from Carleton University and a Master in Health Administration from the University of Ottawa. Dr. Tom Hurley is serving his fifth year as Chief of Emergency Medicine at the Pembroke Regional Hospital and is now a member of the Board in his new role as President of Professional Staff. After completing his MD (University of Western Ontario, 1995), Dr. Hurley’s initial work was as a Flight Surgeon with the Canadian Armed Forces. This included such unique experiences as working with the Disaster Assistance Response Team and providing front-line healthcare during the NATO mission in Kosovo. After leaving the military, he pursued additional training in Emergency Medicine at Queen’s University. When not occupied by medicine, Dr. Hurley enjoys his most important job as a father of five children. 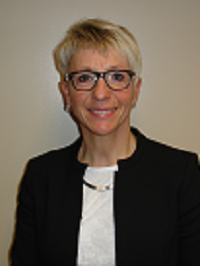 Since July, 2012 Sabine has held the position of Vice-President of Patient Services - Seniors and Community Care at Pembroke Regional Hospital. In 1999 Sabine was hired by the Pembroke Regional Hospital as the Director for the Rehabilitation Program and spent 13 years in progressive Clinical Director roles in medicine, rehabilitation, ambulatory clinics, and diagnostic imaging. Furthermore, she led several significant projects and initiatives for the hospital including the large capital redevelopment project in 2003. In addition to participating on several regional and local committees, Sabine is the lead for the North Renfrew County Health Link. Francois has held the position of Vice President, Patient Services – Acute Care and Chief Nursing Executive at PRH since November, 2012. Francois came to us from the Montfort Hospital where he held the position of Director of Critical Care, Emergency and Surgery for six years. Prior to this, Francois held a variety of progressively more senior roles at The Ottawa Hospital, the Trillium Gift of Life Network and in hospitals in the province of Quebec. 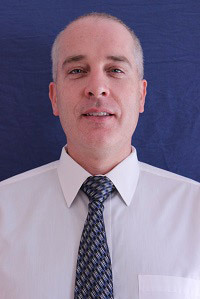 Francois has both a Bachelor in Nursing and an MBA from the University of Ottawa and has had part-time teaching roles in the nurse practitioner program at the University of Ottawa and in the critical care program at La Cite Collegial in Ottawa. 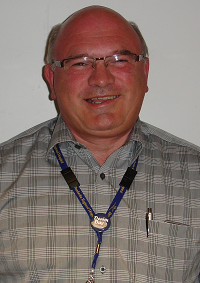 As a member of the Senior Leadership Team, John works closely with the team on the development of strategic directions, quality improvement plans, public reporting, accountability agreements, development of the operational plan, long term facility and equipment planning, and oversight for departments including: Information Technology, Decision Support, Registration and Admitting, Finance, and Materiel’s Management. The position includes the role of Chief Privacy Officer for the Hospital. Francois came to us from the Montfort Hospital where he held the position of Director of Critical Care, Emergency and Surgery for five years. Prior to this, Francois held a variety of progressively more senior roles at The Ottawa Hospital, the Trillium Gift of Life Network and in hospitals in the province of Quebec. Francois has both a Bachelor in Nursing and an MBA from the University of Ottawa and has had part-time teaching roles in the nurse practitioner program at the University of Ottawa and in the nursing program at La Cité Collegial in Ottawa. 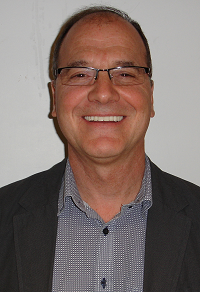 As a seasoned health care leader with a very human touch, Francois works closely with Sabine Mersmann as they are jointly responsible for the overall leadership, strategic direction and management of the delivery of patient-centred care across the organization.